← So what does the future look like? 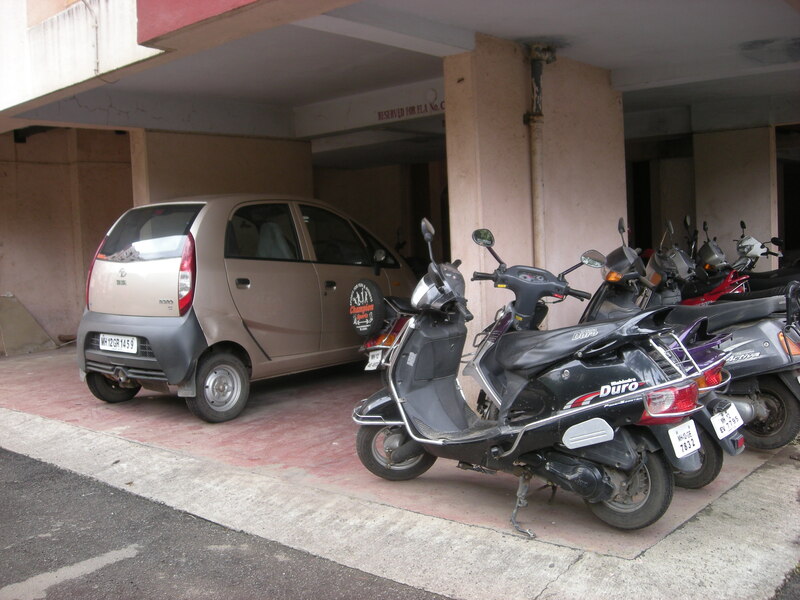 Has the Tata Nano killed the city? When it came out three years ago, environmentalists were in uproar. How could Tata dare to build such a cheap car, accessible to everyone? Since everyone could buy one, they argued, cities would be congested to breaking point, and we would not be able to move around anymore. Moreover, because of its emissions, the Nano would have singlehandedly killed every single Indian alive. Well, three years on, I was in India, and guess what ? Things are exactly as they were. Yes, you do see the Nano quite a bit, but it is not in every single parking space, and the traffic certainly does not consist of an endless line of little tall cars. Talking to a few friends, I think I got to the bottom of why this is not the case. First of all, just like Dacia in France, the Nano does not have a good reputation. Marketing your car as affordable to the poorest people instantly makes it unattractive to the more well-off people. 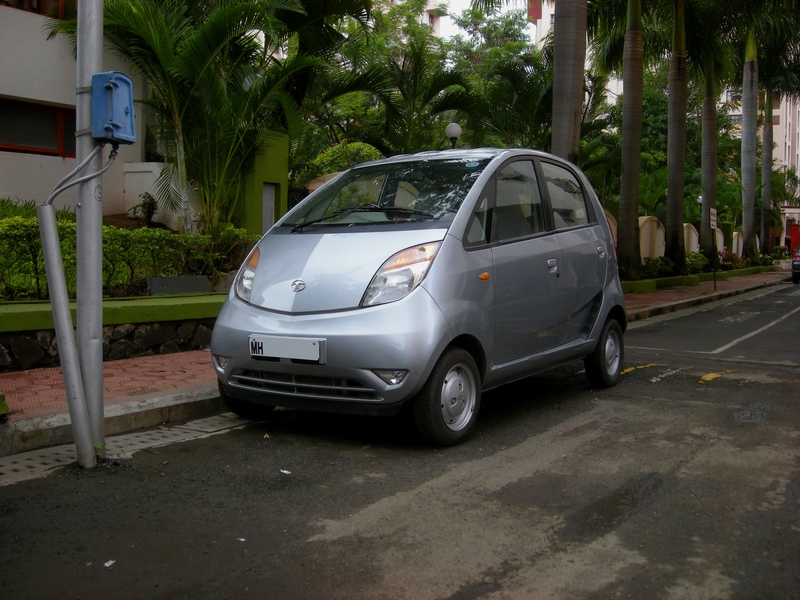 Drive a Nano in India, and people may think you are of a very low income. And in an increasingly trendy image conscious society, what you drive is vital into saying who you are. As a result, if people can afford a car, they will go for the bigger Indica, as the Nano is a car for “poor” people. Secondly, the Nano is too cheap. Believe it or not, but there is such a thing as a product being too cheap. Because of the unbelievably low price, there is a fear in people’s minds, that the Nano is a sub-standard product. Many people wonder how Tata can produce such a cheap car, it cannot be possible. The biggest fear is that they have saved on safety, therefore, a lot of people call the Nano an unsafe car. Tata may spend millions on marketing, proving that the car is safer than the equivalent competitor, it would never change. It is also now too late for Tata to raise the price now, as people have already seen how cheap the car is. Raise it now, and they will only cause more skepticism. Thirdly, the Nano aimed for the wrong market. Ratan Tata famously said he wanted to give an alternative to the scooter carrying families, therefore it was designed to be the same price as a scooter. At that level, it was a success. However, owning a car and a scooter are two very different concepts. Owning a scooter in India is easy. You do not have to worry about parking, moving along the city is easy, and maintenance is a breeze. With a car, it is a completely different thing. Parking is a big issue in the city. If you can park your scooter, chances are you will not be able to do the same for your car. Driving in the city is also very difficult. The congestion can be very bad, sometimes it may even take three times as long to do a journey by car, than by scooter. Finally, maintenance is more demanding on the car, whereas the scooter can pretty much be forgotten. That said, the Nano is not a complete failure. For one thing I like it. I think it looks funky and cute. Moreover, owning a small city car that you can have fun with, without having to worry about expensive maintenance or repair bills is always a good thing. After that, people are buying Nanos. Yes, the middle class in India is huge, and the first car they buy is usually a Polo or a Civic. However, the people who are less well off still need some form of transport. And compared to the scooter, the Nano does offer one commodity that scooter drivers can only dream of : shelter. When it rains in India, trust me, you do not want to be on a scooter ! In the end, the Nano is not really replacing the scooter. What it is doing, is replacing the old Maruti 800 and Fiat Padminis. It is already replacing a car, and an aging uneconomical one at that. So on that level, it may have a positive environmental impact. Don’t get me wrong, I do not think the Nano is a bad car, in fact, I am desperate to drive one. As a matter of fact, if I were to live here, it would most certainly be my car of choice at the beginning. After all, it does have one feature that no price can be put on in 40° heat : an aircon.